$2,418 off MSRP! 2019 Toyota 4Runner SR5 SUPER WHITE SR5 4.0L V6 SMPI DOHCIncludes ToyotaCare, a no cost maintenance plan with 24-hour roadside assistance. The ToyotaCare plan covers normal factory scheduled service for 2 years or 25,000 miles, whichever comes first1. 24-hour roadside assistance is also included for 2 years, regardless of mileage. 1Covers normal factory scheduled service for 2 years or 25,000 miles, whichever comes first. See your Toyota dealer for details and exclusions. Valid only in the continental U.S. And Alaska. We understand PRICE, SELECTION, and TIME is very important in todays shopping process. We put our best prices up front and online to save our customers time and money. We research all prices before posting them to provide a HASSLE-FREE purchasing process. Call For Details @ 610-678-3425. This vehicle is Located @ PERFORMANCE TOYOTA...4681 Penn Av. Sinking Spring, PA.
$2,296 off MSRP! 2019 Toyota 4Runner SR5 Premium MAGNETIC GREY METALLIC SR5 Premium 4.0L V6 SMPI DOHCIncludes ToyotaCare, a no cost maintenance plan with 24-hour roadside assistance. The ToyotaCare plan covers normal factory scheduled service for 2 years or 25,000 miles, whichever comes first1. 24-hour roadside assistance is also included for 2 years, regardless of mileage. 1Covers normal factory scheduled service for 2 years or 25,000 miles, whichever comes first. See your Toyota dealer for details and exclusions. Valid only in the continental U.S. And Alaska. We understand PRICE, SELECTION, and TIME is very important in todays shopping process. We put our best prices up front and online to save our customers time and money. We research all prices before posting them to provide a HASSLE-FREE purchasing process. Call For Details @ 610-678-3425. This vehicle is Located @ PERFORMANCE TOYOTA...4681 Penn Av. Sinking Spring, PA.
$2,387 off MSRP! 2019 Toyota 4Runner SR5 Premium CLASSIC SILVER METALLIC SR5 Premium 4.0L V6 SMPI DOHCIncludes ToyotaCare, a no cost maintenance plan with 24-hour roadside assistance. The ToyotaCare plan covers normal factory scheduled service for 2 years or 25,000 miles, whichever comes first1. 24-hour roadside assistance is also included for 2 years, regardless of mileage. 1Covers normal factory scheduled service for 2 years or 25,000 miles, whichever comes first. See your Toyota dealer for details and exclusions. Valid only in the continental U.S. And Alaska. We understand PRICE, SELECTION, and TIME is very important in todays shopping process. We put our best prices up front and online to save our customers time and money. We research all prices before posting them to provide a HASSLE-FREE purchasing process. Call For Details @ 610-678-3425. This vehicle is Located @ PERFORMANCE TOYOTA...4681 Penn Av. Sinking Spring, PA.
$2,729 off MSRP! 2019 Toyota 4Runner Limited Nightshade MAGNETIC GREY METALLIC Limited Nightshade 4.0L V6 SMPI DOHCIncludes ToyotaCare, a no cost maintenance plan with 24-hour roadside assistance. The ToyotaCare plan covers normal factory scheduled service for 2 years or 25,000 miles, whichever comes first1. 24-hour roadside assistance is also included for 2 years, regardless of mileage. 1Covers normal factory scheduled service for 2 years or 25,000 miles, whichever comes first. See your Toyota dealer for details and exclusions. Valid only in the continental U.S. And Alaska. We understand PRICE, SELECTION, and TIME is very important in todays shopping process. We put our best prices up front and online to save our customers time and money. We research all prices before posting them to provide a HASSLE-FREE purchasing process. Call For Details @ 610-678-3425. This vehicle is Located @ PERFORMANCE TOYOTA...4681 Penn Av. Sinking Spring, PA.
$2,952 off MSRP! 2019 Toyota 4Runner Limited BLIZZARD PEARL Limited 4.0L V6 SMPI DOHCIncludes ToyotaCare, a no cost maintenance plan with 24-hour roadside assistance. 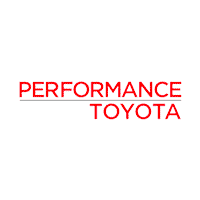 The ToyotaCare plan covers normal factory scheduled service for 2 years or 25,000 miles, whichever comes first1. 24-hour roadside assistance is also included for 2 years, regardless of mileage. 1Covers normal factory scheduled service for 2 years or 25,000 miles, whichever comes first. See your Toyota dealer for details and exclusions. Valid only in the continental U.S. And Alaska. We understand PRICE, SELECTION, and TIME is very important in todays shopping process. We put our best prices up front and online to save our customers time and money. We research all prices before posting them to provide a HASSLE-FREE purchasing process. Call For Details @ 610-678-3425. This vehicle is Located @ PERFORMANCE TOYOTA...4681 Penn Av. Sinking Spring, PA.
$2,876 off MSRP! 2019 Toyota 4Runner Limited Nightshade MAGNETIC GREY METALLIC Limited Nightshade 4.0L V6 SMPI DOHCIncludes ToyotaCare, a no cost maintenance plan with 24-hour roadside assistance. The ToyotaCare plan covers normal factory scheduled service for 2 years or 25,000 miles, whichever comes first1. 24-hour roadside assistance is also included for 2 years, regardless of mileage. 1Covers normal factory scheduled service for 2 years or 25,000 miles, whichever comes first. See your Toyota dealer for details and exclusions. Valid only in the continental U.S. And Alaska. We understand PRICE, SELECTION, and TIME is very important in todays shopping process. We put our best prices up front and online to save our customers time and money. We research all prices before posting them to provide a HASSLE-FREE purchasing process. Call For Details @ 610-678-3425. This vehicle is Located @ PERFORMANCE TOYOTA...4681 Penn Av. Sinking Spring, PA. Priced below KBB Fair Purchase Price! $2,941 off MSRP! 2019 Toyota 4Runner Limited Nightshade MAGNETIC GRAY METALLIC Limited Nightshade 4.0L V6 SMPI DOHCIncludes ToyotaCare, a no cost maintenance plan with 24-hour roadside assistance. The ToyotaCare plan covers normal factory scheduled service for 2 years or 25,000 miles, whichever comes first1. 24-hour roadside assistance is also included for 2 years, regardless of mileage. 1Covers normal factory scheduled service for 2 years or 25,000 miles, whichever comes first. See your Toyota dealer for details and exclusions. Valid only in the continental U.S. And Alaska. We understand PRICE, SELECTION, and TIME is very important in todays shopping process. We put our best prices up front and online to save our customers time and money. We research all prices before posting them to provide a HASSLE-FREE purchasing process. Call For Details @ 610-678-3425. This vehicle is Located @ PERFORMANCE TOYOTA...4681 Penn Av. Sinking Spring, PA.
2019 Modified Toyota 4Runner SR5 Premium MAGNETIC GREY METALLIC SR5 Premium 4.0L V6 SMPI DOHCIncludes ToyotaCare, a no cost maintenance plan with 24-hour roadside assistance. The ToyotaCare plan covers normal factory scheduled service for 2 years or 25,000 miles, whichever comes first1. 24-hour roadside assistance is also included for 2 years, regardless of mileage. 1Covers normal factory scheduled service for 2 years or 25,000 miles, whichever comes first. See your Toyota dealer for details and exclusions. Valid only in the continental U.S. And Alaska. We understand PRICE, SELECTION, and TIME is very important in todays shopping process. We put our best prices up front and online to save our customers time and money. We research all prices before posting them to provide a HASSLE-FREE purchasing process. Call For Details @ 610-678-3425. This vehicle is Located @ PERFORMANCE TOYOTA...4681 Penn Av. Sinking Spring, PA.